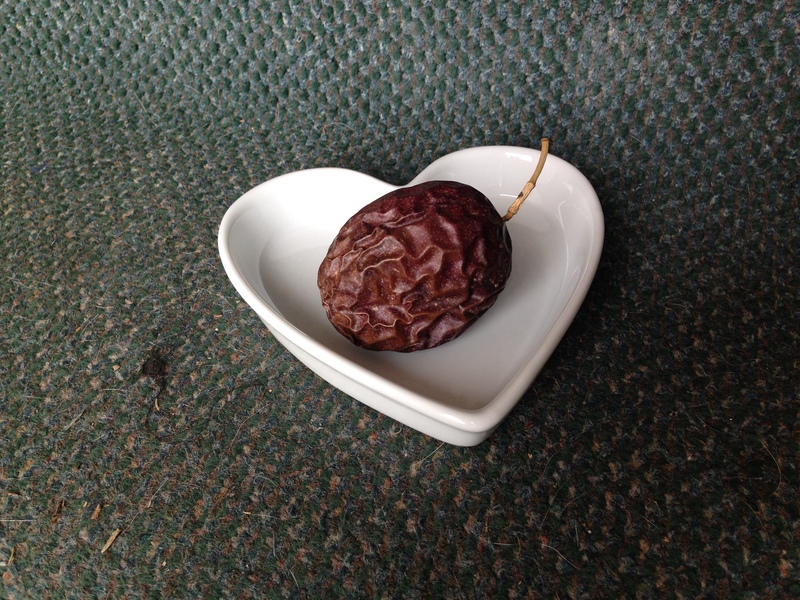 If you haven’t seen a passionfruit before, they are dark purple and about the size/shape of an extra-large grade AA egg minus the tapered end. If you haven’t tasted them, they are tart, with a distinctive flavor like nothing else. They are akin to cilantro in that people generally feel strongly towards them, one way or the other. The wrinklier they get, the sweeter they are. For a long time, I didn’t understand where they got their name. One hot summer in Taipei (as if there is another kind), I was cutting into one in the kitchen. The air conditioner was off and it was like being in a sweat lodge. As I pierced the skin, a jet of golden yellow fruit with its greenish-grey seeds shot out, like a liquid leopard pouncing onto the plate. I was probably fifteen and never-been kissed, but I blushed just the same. 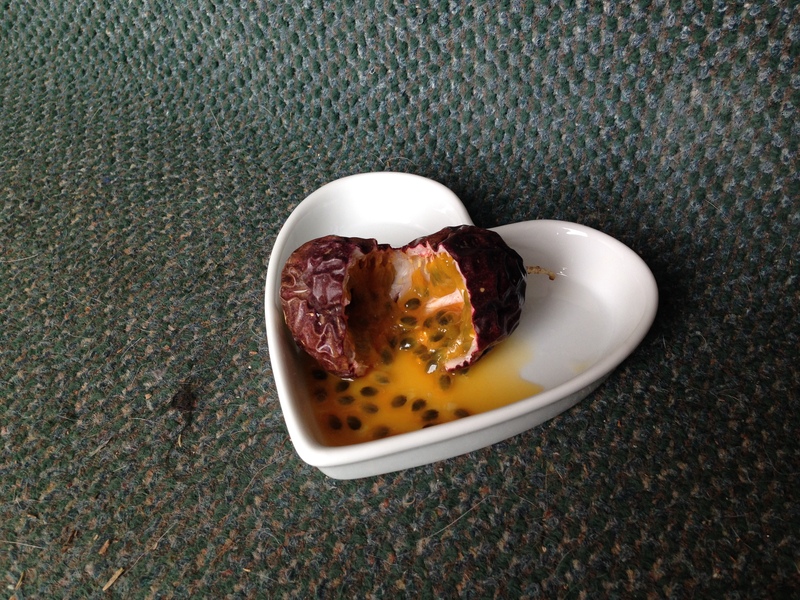 And that’s why I think they are called passionfruits. 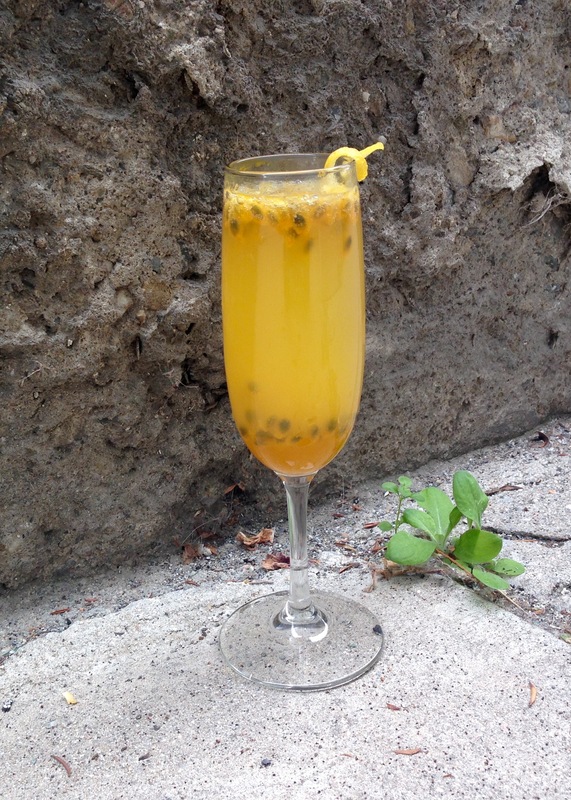 As above, let the passionfruit get wrinkly, empty the contents into a champagne glass or two (the fruit/juice:prosecco ratio in a mimosa is a personal choice). Add superfine sugar to taste (or skip the sugar and use a ~tablespoon of mango nectar instead, especially if you find the taste of passionfruit too pungent/tart). Top off with prosecco or champs. Cheers! Every day should be a mimosa day!